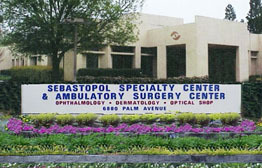 Patients come to the Sebastopol,CA Dermatology Practice of Dr. Cynthia Bailey from all over the San Francisco Bay Area. Please note: Our Practice has moved! May 7, 2015 by admin·Comments Off on Please note: Our Practice has moved! For appointments, please call (707) 823-7628. We are combining forces to bring the best possible Dermatology services to West Sonoma County! Dr. Hrabko has been seeing patients at the Sebastopol Specialty Center since 2006 and is well known for providing exceptional, compassionate care.